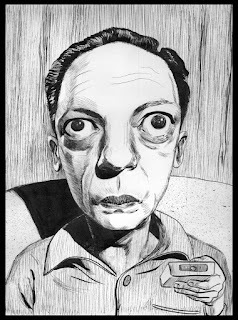 Pen and Ink portrait of Don Knotts "The King of the Double-Take", by Jesse Read. Aside from being my brother, Jesse is a helluva talented Graphic Designer, Illustrator and Painter. Check him out!